Rothenberg released five captures on his Twitter-and they’re pretty up to point with the show. 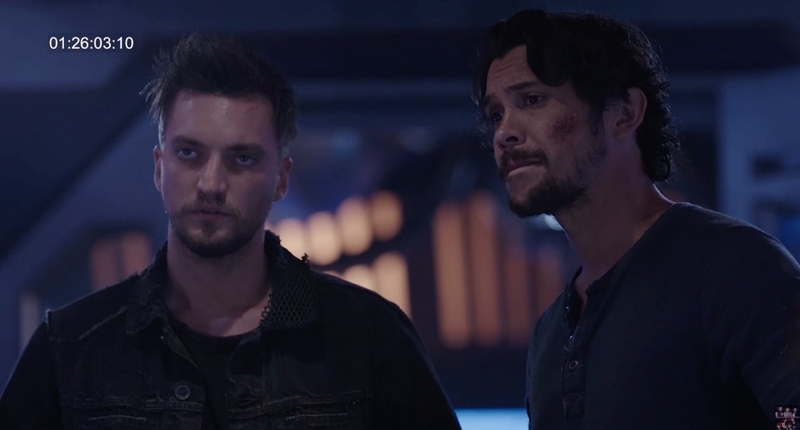 I wonder if Bellamy, Clarke, and Raven are fighting the same enemy-or that Bellamy or doing some sniping on his own. As for Clarke and Madi, it appears that the mom/daughter relationship is off to a good start. And what is on Murphy’s mind? Ah, the burning questions that need to be answered! But wait! These caps are not from the trailer but from the episodes. And so, even more suspense is being built. By the way, which image is your favorite? The 100 season 5 will debut on the CW April 24th. Follow Grounders Source on Facebook and Twitter to keep updated with The 100 news.